In 2018 Andanças will return to the beautiful Vila de Castelo de Vide, from 1 to 5 August. This year the festival maintains the same format as the 2017 edition, with a comprehensive and attractive program for all audiences. 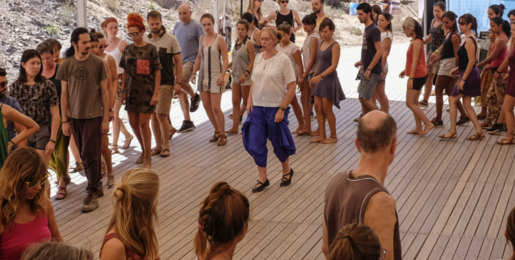 Throughout these 23 editions, Andanças has established itself as a landmark festival in music and dance in Portugal, where artists and audiences actively interact with traditional practices, reinventing them and merging them with new and innovative artistic expressions. Proposals for Artistic Program of Andanças 2018 were open from 15 January to 28 February. We want say a big thank you to all,  we will give a reply by the end of march.